I know you had a light/white hair one, but do you have any tips for how to do APH Prussia? It's just a bit confusing I guess. And do you know any good brands for someone with achene? i have black eyebrows, and im going to cosplay as luna lovegood, who has white blond hair! do you have any tips on making my eyebrows look lighter, without gluing them? your Canada cosplay is so CUTE!!! this will be very helpful for me, since im going to my first con this summer!! What about a Danmark (From Hetalia) Cosplay? 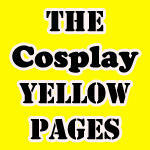 Great tutorial, by the way, I've been needing something to help me with my cosplays! This is really helpful! THank you so much for posting this! Wow, your makeup is flawless! QUESTION! I have many freckles (mostly on my nose and cheeks), so is there anything special i need to do to cover them completely? Don't try to cover freckles! I think they're cute! I'm so sorry for the late reply XD School pretty much ate me. Hmm, I'm pretty sure a good concealer would work : ) After concealer, you can use foundation, and then dust over some powder to set the makeup. Thanks!! ; ) Have fun at Sakura-con!! I referenced your tutorial in my journal, I hope you don't mind. Does loose powder or press powder work better with making skin look almost white? Wow, this is so detailed, thank you! I'm monolid, so eye makeup tends to look terrible on me; do you have any tips for that? Besides that nasty double eyelid tape, lolz. Also, how would you draw eyebrows where the character is more serious? For ex: Lelouch in Code Geass, or any serious anime character. The links to cosplay tutorials are below in the artists comments, but here I thought it would be nice to give idea's for the photography side of cosplaying. Feel free to shout out any idea's you want added here.